Infor, a leading provider of business application software serving more than 70,000 customers, recently announced the availability of Infor VISUAL for multi entity/multi-site operations. Infor VISUAL aids companies in streamlining operations across all existing business units and sites, helping to eliminate siloed data and more tightly integrating financial, inventory and manufacturing activities throughout the enterprise. Designed for order-driven manufacturers in various industries, Infor VISUAL provides customers the information needed to make quick, confident business decisions, helping boost operational efficiency and introduce new products and services quickly. The new multi-site capabilities of Infor VISUAL will help companies to consolidate on one database and maintain accurate accounting records and financial statements for each entity or location, while rolling up the information to the parent company or site for enterprise-wide reports. In addition, master data can be shared across the enterprise to control inventory, WIP, planning, scheduling, and costing for those sites from a single, centralized location. "We want our customers to have all the tools they need for success - so we design every Infor application knowing that speed and accuracy are going to be critical to navigate this complex business environment," said Mark Humphlett, director of ERP marketing, Infor. "Infor VISUAL helps address the need for a seamless flow of data across the enterprise, giving business leaders the tools they need to make informed decisions that directly affect the bottom line." More efficient sales, purchasing, and inventory management. Use one database to track separate estimates, sales orders, RFQs, purchase orders, and RMAs by site, and have clear visibility into site-specific engineering masters, quotes, and work orders. 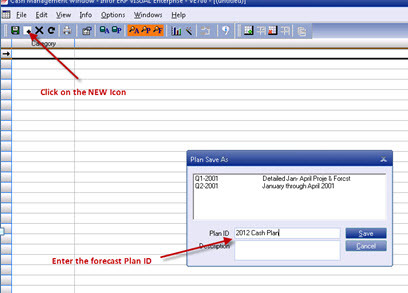 Advanced, real-time planning and scheduling. View plans and schedules for multiple sites simultaneously. 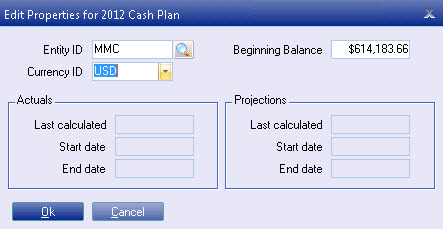 Clear visibility into financial management. 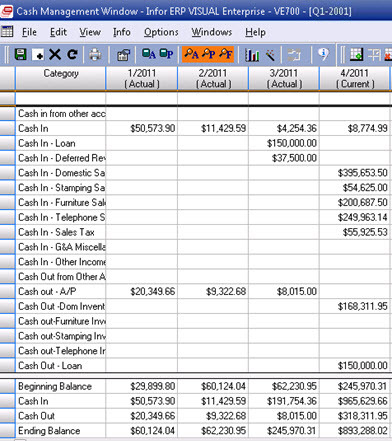 Automate reporting and filter the Chart of Accounts to view activity by site and generate consolidated reports across entities, even if the entities use different financial calendars. Strengthened vendor and customer relationships. Create vendor IDs that have unique information such as accounting or payment details and customer IDs that have unique information such as VAT, billing, bank, credit limits, bill-to addresses, etc. The ability to invoice separately for those locations and get paid with one check for multiple invoices. Organized contact management. Gain support and flexibility in managing a contact base from a centralized location. Enhanced security management. Assign users at three levels-allowable, viewable, and default. Employees can enter labor tickets for any site they are allowed to use, but not for any other sites that are restricted to them. Improved equipment maintenance capabilities. Assign site IDs to equipment to manage equipment maintenance-either planned or unplanned. Helps manage scheduled down time for equipment by location. "Through this new update, we now have the ability to automate transactions at more than 30 international locations that perform large numbers of inter-company purchases every day," said Cynthia Bly, VISUAL Information Services Manager, Pyrotek. "This automation will save us a tremendous amount of time and significantly reduce manual errors." 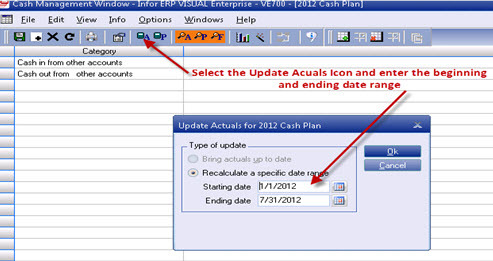 Did you know that VISUAL 7 has the ability to remember recently opened documents? In application Global Maintenance, there is a new field “Recent File List Limit”, which you can set. This number controls how many recent files should be remembered by VISUAL. Then, in windows that support it- such as Part Maintenance- you can quickly go back to a recent part from the file menu. Makes things a bit easier!